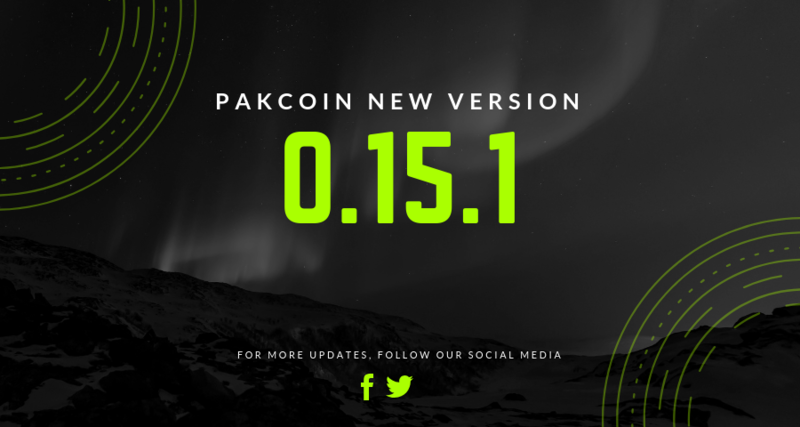 We are glad to announce the release of Pakcoin Core 0.15.1 version. This is a major version release, including new features, bug fixes, performance improvements, and updated translations. We recommend all users to upgrade to this version as soon as possible. This version also includes a hard-fork at block 950,000(approx 20th Nov, 2018) which will enforce difficulty algorithm change from Dark Gravity Wave to MIDAS (Multi Interval Difficulty Adjustment System) in order to better regulate the mining process and catch up to the block number at current time. 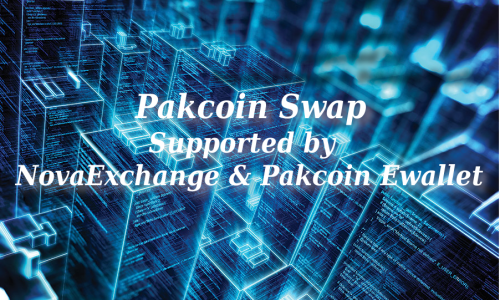 A number of changes to the way Pakcoin Core deals with peer connections and invalid blocks have been made, as a safety precaution against blockchain forks and misbehaving peers. Unrequested blocks with less work than the minimum-chain-work are now no longer processed even if they have more work than the tip (a potential issue during IBD where the tip may have low-work). This prevents peers wasting the resources of a node. Peers which provide a chain with less work than the minimum-chain-work during IBD will now be disconnected. For a given outbound peer, we now check whether their best known block has at least as much work as our tip. If it doesn’t, and if we still haven’t heard about a block with sufficient work after a 20 minute timeout, then we send a single getheaders message, and wait 2 more minutes. If after two minutes their best known block has insufficient work, we disconnect that peer. We protect 4 of our outbound peers from being disconnected by this logic to prevent excessive network topology changes as a result of this algorithm, while still ensuring that we have a reasonable number of nodes not known to be on bogus chains. Outbound (non-manual) peers that serve us block headers that are already known to be invalid (other than compact block announcements, because BIP 152 explicitly permits nodes to relay compact blocks before fully validating them) will now be disconnected. If the chain tip has not been advanced for over 7.5 minutes, we now assume the tip may be stale and will try to connect to an additional outbound peer. A periodic check ensures that if this extra peer connection is in use, we will disconnect the peer that least recently announced a new block. The set of all known invalid-themselves blocks (i.e. blocks which we attempted to connect but which were found to be invalid) are now tracked and used to check if new headers build on an invalid chain. This ensures that everything that descends from an invalid block is marked as such. The minimum relay fee -minrelayfee has been lowered to 0.01 pais per kB (0.00001 PAK). This is to prepare for dropping the minimum transaction fee to 0.1 pais per kB (0.0001 PAK) in the next release. Mempool replacement --mempoolreplacement has been disabled by default. Though blockmaxweight has been preferred for limiting the size of blocks returned by getblocktemplate, blockmaxsize remained as an option for those who wished to limit their block size directly. Further, the blockmaxsize option is now used only to calculate an implied blockmaxweight, instead of limiting block size directly. Any miners who wish to limit their blocks by size, instead of by weight, will have to do so manually by removing transactions from their block template directly. The GUI settings will now be written to guisettings.ini.bak in the data directory before wiping them when the -resetguisettings argument is used. This can be used to retroactively troubleshoot issues due to the GUI settings. Previously, it was possible to open the same wallet twice by manually copying the wallet file, causing issues when both were opened simultaneously. It is no longer possible to open copies of the same wallet. A hidden debug argument -minimumchainwork has been added to allow a custom minimum work value to be used when validating a chain. The “currentblocksize” value in getmininginfo has been removed. dumpwallet no longer allows overwriting files. This is a security measure as well as prevents dangerous user mistakes. backupwallet will now fail when attempting to backup to source file, rather than destroying the wallet. listsinceblock will now throw an error if an unknown blockhashargument value is passed, instead of returning a list of all wallet transactions since the genesis block. The behaviour is unchanged when an empty string is provided. Despite this version being heavily tested, this version may still contain bugs. Always backup your wallet.dat file before upgrading. 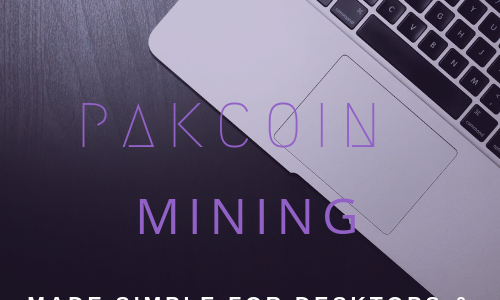 If you encounter any issues, please let us know at support at pakcoin dot io.